Summertime is upon us. In much of our industry, the summer season is the busiest time of the year; school is out, the family is on vacation, and the days are long and warm. With more people visiting, how can we provide that same WOW experience that keeps our guests engaged and having fun? Extended Hours - Opening earlier and staying open later are great ways to spread the crowds out and to maintain a high-value experience. At Walt Disney World this time is called “Extra Magic Hours” and it is offered exclusively to guests staying in Disney Resort Hotels. Strolling Entertainment - Roaming A Capella singers, beach bands, and Percussion type acts are a few options that help to provide atmosphere and entertainment on hot, crowded days. Because these acts are not tied to specific locations they can “pop up” to entertain your guests when and where ever needed. Special Nighttime Programs – Having high-energy after dark entertainment options, which can include things like fireworks, concerts, and light up dance parties can add tremendous value for your guests and it gives them a reason to stay in the park longer. Food Festivals – The summer is a great time to offer special treats that aren’t usually on the Food and Beverage menu. These options could include new entrees or seasonal desserts and drinks. This summer Sea World Orlando and Busch Gardens in Tampa are both offering free beer to their visitors over 21 to celebrate their roots. New or Seasonal Attractions – During the hot summer months many parks find that adding water elements is a great way to keep guests cool and entertained. These options can include Splash Pads, Super Soaker/Water Squitter stations, Inflatable Waterslides, and Wibit floating waterpark features. 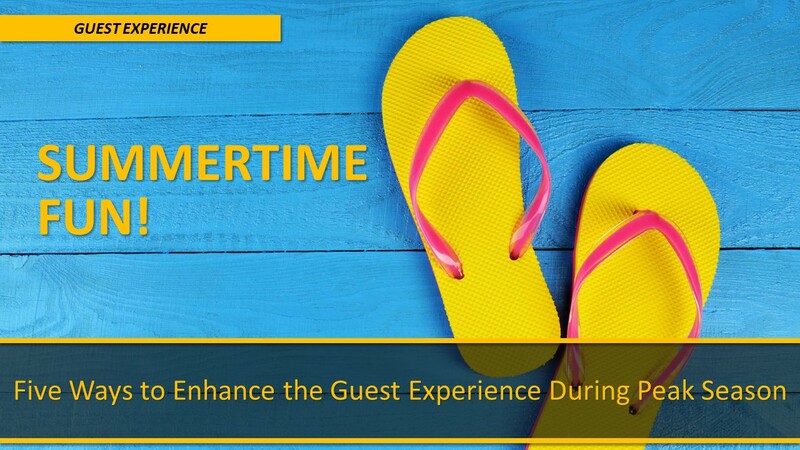 Summer is upon us and hopefully these ideas will help you to add value and enhance your Guest Experience. ⟵Flexible Payment Plans – Why Offering Payment Options Can Really Pay Off!